They made the biggest summer tune on our sub-label last year. Many open airs where we heard ’Golden Girls’ featuring the beautiful vocals from Lazarusman. And it’s still fresh in the clubs. Now it’s about time for a decent follow-up. 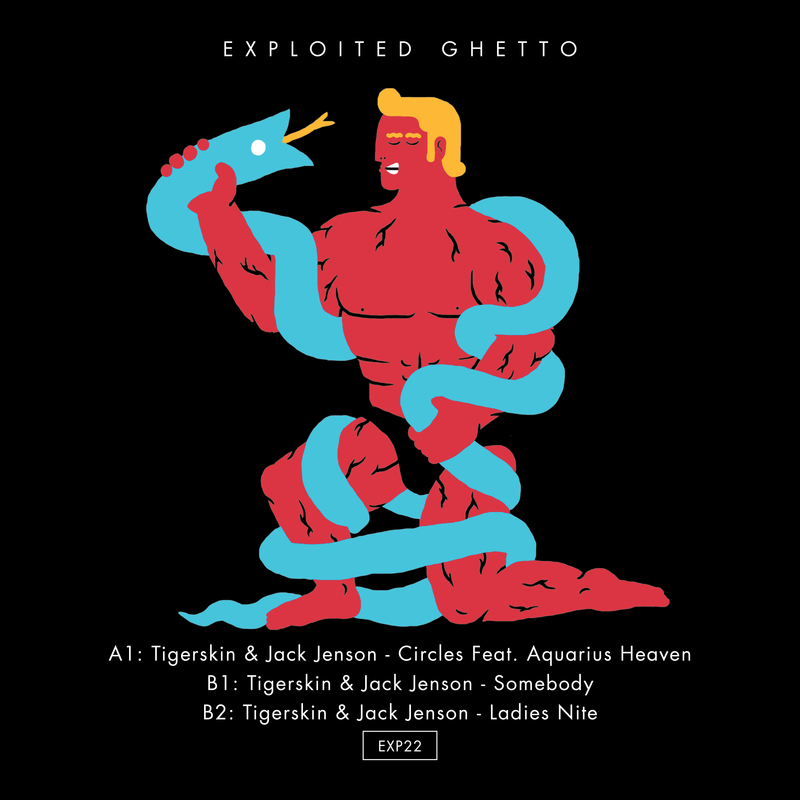 We welcome back Tigerskin & Jack Jenson. Tigerskin has been a key part of the dance scene for years not only under this name but also as Dub Taylor. His style is deep and atmospheric and works well with Jack Jenson, who he met at Salon Zur Wilden Renate in Berlin (Jack Jenson hosts a successful party event since day 1 at Renate). During their production process they linked up with Brian also known as Aquarius Heaven who normally releases on Circus Company and shares a studio space at Salon Zur Wilden Renate. ’Circles’ is a deep floorfiller for sure. And for those who like it more funky we added ’Somebody’ and ’Ladies Nite’. Soul Clap/Charlie: Steady on that Aquarius TIP! Chloe: love Somebody ! but also other tracks, full good ep! Ardalan: Feeling this one! Ladines Nite is pure funk. Bryan Kessler: Slap it Baby. Luna City Express: Cool EP! Will play Ladies Nite.